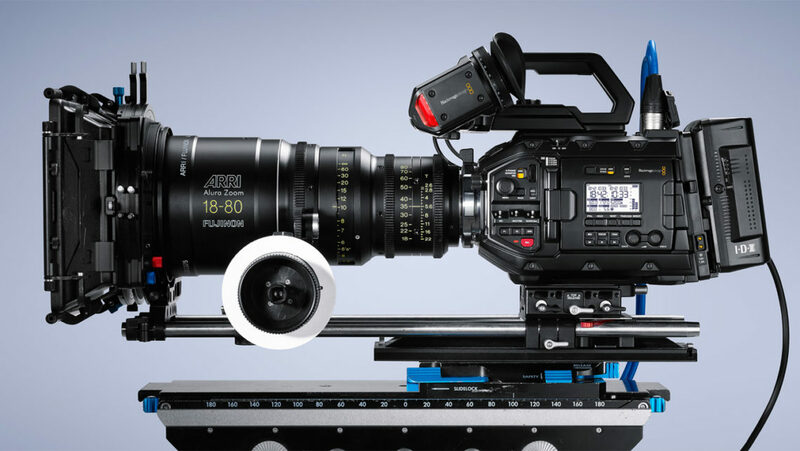 What do you know about the latest BLACKMAGIC URSA Mini Pro? Home / Photography / What do you know about the latest BLACKMAGIC URSA Mini Pro? Is the world’s first digital film camera with professional broadcast camera features and controls! The Blackmagic URSA Mini Pro is a professional digital film camera that combines the incredible image quality of URSA Mini 4.6k with the features and control of a traditional broadcast camera. It also features built in ND filters, a status display and a revolutionary new interchangeable lens mount between EF photographic lenses or PL, B4 and F mount lenses. The URSA Mini Prorecords up to 60fps and features dual SD/UHS-II card recorder. The Blackmagic URSA Mini Pro is a three in one cinematic camera because it combines high end digital film quality with the ergonomics and features broadcasters need. The URSA Mini Pro is a very powerful and robust camera that is available in five different versions, this gives you the chance and flexibility to choose the camera that best suits your need. The made with a super strong magnesium alloy body that makes it durable enough to use in the most extreme environment, due to the kind of material is made off it is very light in weight. Blackmagic URSA Mini Pro Compact digital film camera with 4.6k sensor, 15 stops of dynamic range, full tactile controls, optical ND filter, interchangeable lens mount and dual CFast 2.0 and UHS-II SD card recorder.